Kenya Barris is the creator of black-ish, a popular new comedy series airing on CityTV about an African-American family living in a predominantly white neighbourhood in Southern California. Kenya discussed black-ish and his parenting style in a recent interview with ParentsCanada. The show’s title is a reflection of your experiences of being black differing from your children’s. Can you elaborate? When I grew up (in Inglewood, Calif.) there was a more segregated vision of black culture in this society. My kids’ vision is a much more homogenized version, which is the biggest difference. Socioeconomically, a lot has changed. The idea of going to Whole Foods as a kid would have been like, ‘what are you talking about? We’re just happy to have groceries.’ I’m not going to worry what kind of groceries! 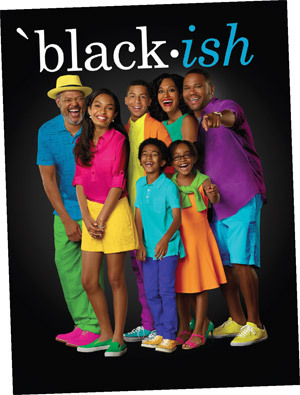 To what extent are the black-ish storylines in lockstep with your life? And can you share some teasers? Tell us about the Martin Luther King episode. The family goes on their annual King Day trip, which is a skiing trip. Dre feels bad that he’s not doing enough to actually honour Dr. King. He feels his son is clueless as to what Dr. King actually meant and he goes on a mission to teach his son Dr. King’s values. It turns out his son already knew them and they emerge in a way that Dre wasn’t expecting. In the wake of Ferguson, what questions have your own children asked? It’s a trying time for the country and the children have a lot of questions but, because of the show, I don’t want to get into my personal politics. There are a lot of things out there that we don’t have the answers to. I try to give them insight to understand that, we have to speak up and have a voice and make sure our opinions are heard in the proper way. 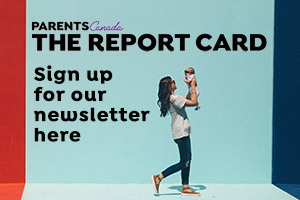 Our general philosophy is to let them learn from the mistakes that we’ve made so that they don’t make them Sometimes, in doing that, you lose the upper hand in terms of not being the flawless parent that you want to present to your kids. But we gain the ability for them to see us as human beings. Yes, you’re going to make other mistakes that we didn’t make but you can avoid these things. I call high school My Lost Years. What are some of your mistakes? I remember drinking in high school, falling down and breaking my tooth and having to come home and make up some story to my mom. That led to two more weeks of her questioning me until finally I told the truth. She didn’t buy me a new tooth because she was so upset with me. So I had to go through senior year without a tooth. I explained it to my children. They said, “Oh my God, you lied to Grandma? You didn’t have a tooth? We want to see pictures!” The whole purpose of this is that we want our kids to be better than we are. We don’t want them to go down the path we went down. Amber Nasrulla found it hard adjusting to a predominantly white community when she moved from Canada to Orange County, California in 2004. She was delighted to find Asians, Indians, Persians and Arabs in Irvine.